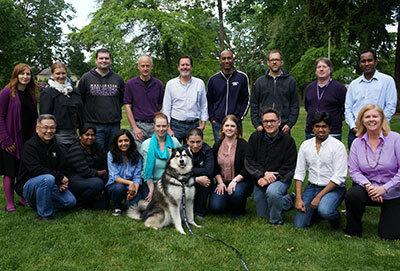 To keep students' academic plans on track, the University of Washington developed open source software that integrates previously siloed administrative functions such as degree audit and articulation, student lifecycle and recruitment, registration and advising. Traditional student-advising tools often exist in silos, with administrative functions such as degree audit and articulation, student lifecycle and recruitment, registration and advising all operating as separate systems. Faced with students' concerns about keeping their academic plans on track — especially in these challenging economic times — the University of Washington set out to create an integrated planning and advising system that would break down those silos and support student success. Led by Darcy Van Patten, director of student information systems at UW, developers began work on MyPlan in November 2011. The team realized that the key to success was developing not yet another isolated tool, but a truly integrated offering that would draw on useful information from advising, registration and other relevant student data. The MyPlan system was also designed to address the broader strategic institutional goals of increasing degree attainment and supporting articulation and transfers from community and technical colleges into the university system. An agile, iterative development process brought fast results, and by January 2013 the university began marketing MyPlan to students. Today, MyPlan offers short- and long-term academic planning tools and information for both current and prospective students, registration planning, degree audits and adviser recommendations and feedback. Though use of MyPlan is optional, the tool has already been adopted by nearly 30 percent of UW undergraduates — chalking up more than 45,000 unique visitors and 12,000 academic plans created. A Kuali Foundation partner institution, UW built MyPlan as an open source system, using the Kuali Student framework and Kuali Rice developer tools. Funding from UW's Student Technology Fee Committee, with additional monies from the Bill & Melinda Gates Foundation, is allowing ongoing refinement. The university's ultimate goal is to incorporate MyPlan into Kuali Student — starting with a limited Founder's release in fall 2014 and culminating with a full release after the software completes the rigorous process of software contribution and integration into the Kuali Student System. At that point, other institutions will be able to obtain open source licensing of the Kuali Student Academic Planning software through the Kuali Foundation. MyPlan has already been implemented at Indiana University, another Kuali founding partner, where it is integrated into PeopleSoft as iGPS. Jill Yetman, MyPlan project manager at UW, noted that the support of the Student Technology Fee Committee and the widespread interest of UW students in general has helped to create a strong emphasis on user-centered development. "In the 13 years working on software development projects in higher education, I don't think I've seen such a heavy emphasis on user experience. In the first year alone we did 10 rounds of usability testing with students. We didn't just complete a checklist of features — we created an enticing application. And we've seen adoption rates that show how well that idea is working." With a long-term focus on end-to-end career and academic planning, and a commitment to user-centered design, UW has proposed work (yet to be funded) that can extend MyPlan into the area of big data with robust academic-exploration and decision-support tools.